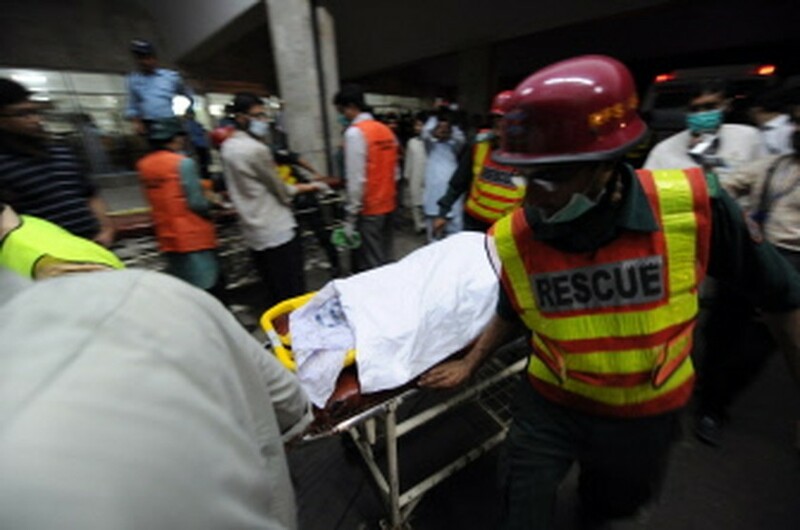 ISLAMABAD, July 29, 2010 (AFP) - Pakistan Thursday observed a day of mourning for the 152 people killed in the country's worst aviation disaster, as rescue workers searched for the aircraft's black box. Investigators hope the flight data recorder will give clues to the exact cause of Wednesday's crash which occurred amid heavy rain and poor visibility in the hills outside Islamabad. Two Americans, an Austrian-born businessman and seven children were among the 152 people on board the Airblue flight ED 202 from the southern city of Karachi. The plane disintegrated into a gorge between two hills, enveloped in cloud and some distance from the road, severely hampering rescue efforts and limiting visibility for helicopters hovering overhead. Officials suggested the flight had been diverted due to bad weather, but it was unclear why the jet was flying so low and close to the Margalla Hills -- off the normal route for aircraft arriving from Karachi. Information Minister Qamar Zaman Kaira said the black box had not yet been recovered, after earlier announcing that it had been found. "At that stage I had less information. The fresh information I have is that the black box has not yet been found and at the moment we cannot say something about the causes of the crash," he said. Airblue is one of Pakistan's most respected airlines. It has been operating only since 2004, using new Airbus A320 and A321 aircraft on domestic routes and international services to Dubai, Sharjah, Abu Dhabi, Muscat and Manchester. Pakistan enjoys a relatively good air safety record. Wednesday's crash was the worst in Pakistan but the deadliest civilian plane crash involving a Pakistani jet came in 1992 when a PIA Airbus A300 crashed into a cloud-covered hillside on its approach to the Nepalese capital Kathmandu, killing 167 people.